Wessex AML 600RES awards day Sunday 28 October at Cashmoor is CANCELLEDAML Monthly invitation April - September. Remember 3x 10 minute flights only required - in 1 hour. A new event for 2015. Events are weather dependent flying on selected dates decided at relatively short notice. The provided bungees will be used for the competition (7.5m of rubber + 22.5m of line). Any 36” span (maximum tip to tip) built-up free flight glider (no foamies), D/T is advised. or email Chris Hague Please note that 36" span is the maximum size of free flight model to be flown. Ebeneezer flying at selected dates alonside 36" free flight gliders. Note: Maximum 36" wing span for free flight models. A one design control line team race competition using the Topco Kits Spitfire, the Cox Sure Start 049 engine, a yellow 6 x 4 Kavan propeller, using 25ft lines and easy 5 lap heats with a 15 lap final. Laser cuts kits available from Topco Kits. The total cost of a model Spitfire is under £40! A simple formula using plain bearing 1.5cc diesel engines, 3 warm-up laps and timing over 5 laps. Click on the lefthand side to find out more about the Wessex Weasel and the Wessex Wombat. Due to only a few entrants taking part during previous seasons no rounds are currently scheduled. The Wessex Area Aeromodellers Newsletter reports on League activities. Stop press: See March 2010 Aviation Modeller International for more details and photos, pages 34-35. Also May 2012 Aviation Modeller International for 4 pages of details and photos, see pages 52 - 55. The Wessex Tomboy rules have been arrived at after much consultation with those taking part. They are designed to reduce the excessive heights achieved in the past and use only 2cc of fuel. For more details click on WESSEX TOMBOY LEAGUE on the lefthand side. Due to only a few entrants taking part during previuos seasons no rounds are currently scheduled. Every reasonable effort has been made to ensure that the information contained within this web site is correct, up to date and valid. Neither the authors nor the contributors shall be liable in any event for any loss however arising that is suffered by any person or party as a consequence of any errors in or omissions from this website. Websites to which this site links are the responsibility of their individual authors and owners. Neither the authors nor the contributors accept any responsibility for statements made or opinions expressed in them. Further, the web site developers cannot be liable for any content or misdescription within the web site. 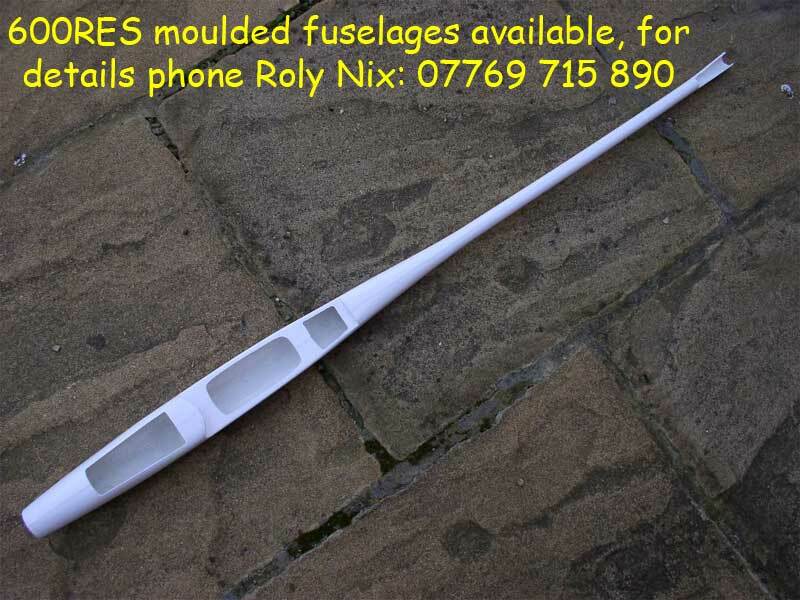 FOR SALE: Moulded fuselage suitable for 600RES electric thermal glider to take Apollo style (laser cut wing ribs available from stock from the Old School Model Aeroplane Factory - see links/contacts page) or use your own design wing. Contact Roly Nix on 07769 715 890. Click to view Swallow fuselage Price £40. Also a 2nd hand, fully tested, Jeti 35 amp ESC at £10. One 600RES model for sale P. O. A. Also carbon fibre tube sets for the Apollo wing. email: Chris Hague.